Guys, I need ur help to share out this Info. The rider of this bike no FBM 6558 B assaulted my friend. My friend was uncouncious as he was hit on the face and landed on the kerb hitting the back of his head injuring it. It happen while he was exiting carpark to fetch his wife . He horn this rider that cut into his lane . The rider was not happy . Somewhat feeling threatened by the rider’s behaviour, my friend stop his in car cam and took the sd card out for safe keeping . The rider came to his right , bang his window , open the door and spit at him . He shut the door and moved off . The rider of the bike continue to tail him. So my friend drive to a nearby coffee shop and got off his car and started to record him in case he do anything . 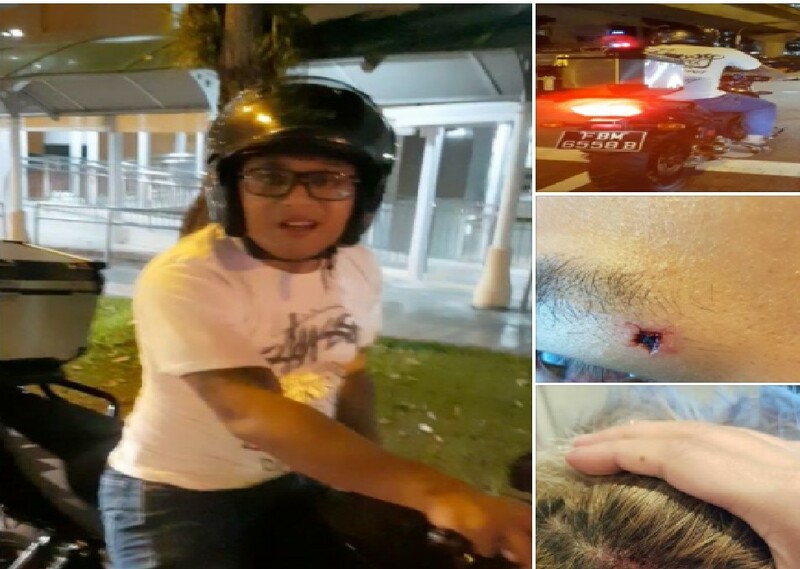 The rider came towards him, grab my friend’s phone and throw a punch at him that cause him to fell and hit his head at the kerb. He was unconscious till ambulance came . 2 Eye witness gave him their contact and he manage to found the camera sd card in his pocket . He got the rider plate even though that rider delete the video from hid phone . For whatever reason, road rash and bullies should be brought to justice and never tolerated. Let’s work together and bring this guy to justice. Violence is never a solution. Previous ArticleMAID CLEANING WINDOWS AT HIGH UNIT! SO DANGEROUS!